Venezuela will continue to sell oil to the U.S. despite cutting off diplomatic ties with Washington, President Nicolas Maduro said Friday. 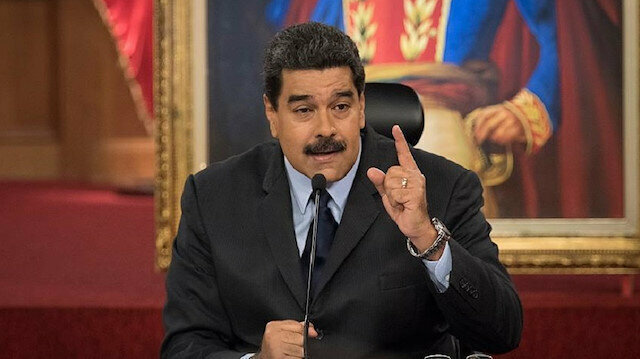 Speaking to reporters at Miraflores Presidential Palace in Caracas, Maduro said cutting diplomatic relations would not affect oil trade with the U.S.
On Wednesday, Juan Guaido, the leader of Venezuela’s opposition-led National Assembly, declared himself acting president. U.S. President Donald Trump recognized Guaido as president of the country. Maduro quickly shot back, cutting off diplomatic relations with the U.S. and giving U.S. diplomats 72 hours to leave the country. Several South American countries, Russia and Turkey have also expressed solidarity with Maduro. Russia on Friday offered to mediate between the government and opposition in Venezuela if necessary, saying it was ready to cooperate with all political forces that acted responsibly, the RIA news agency reported.The comments came a day after Moscow said Nicolas Maduro was Venezuela's legitimate president and not opposition leader Juan Guaido who declared himself interim leader on Wednesday, winning the support of Washington and parts of Latin America.The RIA news agency cited Alexander Shchetinin, the Russian foreign ministry's director for its Latin American department, as making the mediation offer.